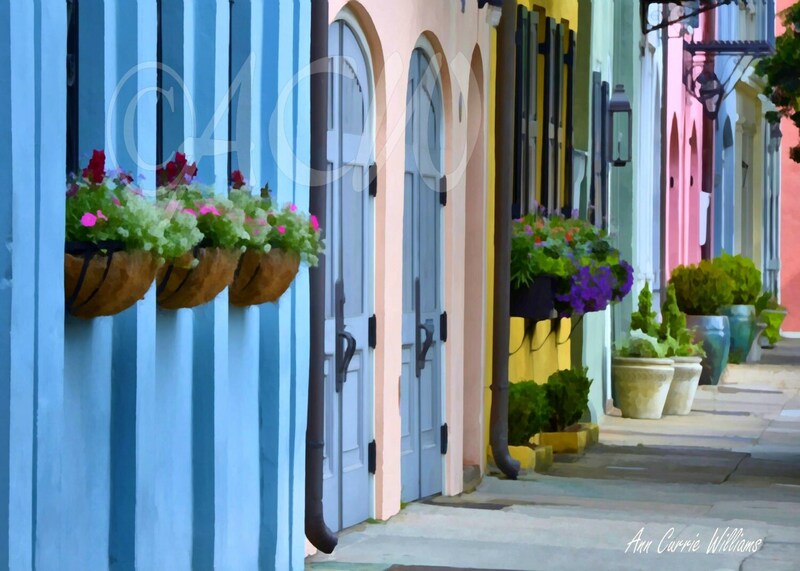 The blue house of historic Rainbow Row in Charleston South Carolina in the spring with brightly colored window boxes with the other colorful houses in the background. An original image based on a photograph I took. Produced on a gallery wrapped 12 x16 or 16 20 canvas.